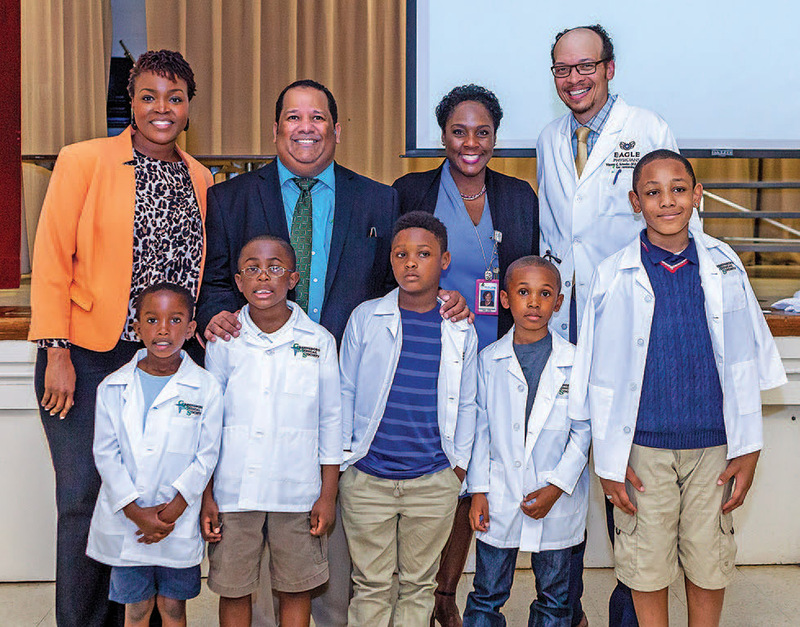 At Wiley Elementary, consider the diagnosis a healthy success from 13 African American doctors on Men’s Doctor Day. The smiling doctors from the Greensboro Medical Society delighted in dispensing hope and inspiration to the young male students. Donning characteristic white medical coats, the doctors met in groups with the eager young students. They provided the students with hands-on medical experiences, all while serving as successful role models. Student representative from Kindergarten to fifth grade received a white coat. All the Wiley students received a play stethoscope and a necktie.